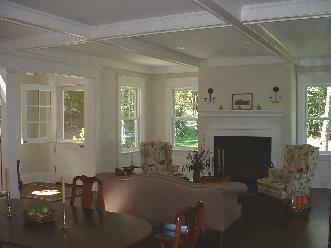 The Goduti Building Company originally formed in Portland, Maine as J. Goduti Associates. It was 1983 and the owner, James Goduti, had just finshed with a carpentry partnership named Freeport Mills which had been involved in some substantial renovation work in and around Portland for about a year. Prior to that Mr. Goduti had worked for two other construction companies and his brother who was completing architectural school. Those years were considered 'boot camp', working as a laborer and ultimately as a carpentry foreman. J. Goduti Associates quickly became involved in the construction boom that hit Portland in the 1980's. They were fully involved with many types of residential and commercial construction. The emphasis seemed to be in renovation early on and then seemed to shift to more new residential work. The wide variety of work provided 'a huge wealth of information on past and present construction techniques' for the company. The work included historic renovation, residential renovation and additions, post and beam construction, passive solar applications, fire/insurance work, warehouse renovation, tenant fit-up for stores and offices, and complete new home construction. 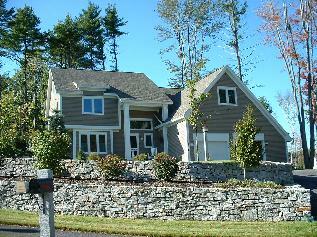 During the 90's the company continued on a mostly residential trend building numerous homes in and around Portland. Many of these homes were designed from local architects and few were designed in house. They had the opportunity to 'build a wide variety of homes in a lot of unique locations'. There was also work to provide homes for a locally based statewide school that provided facitlies for challenged and handicapped students. 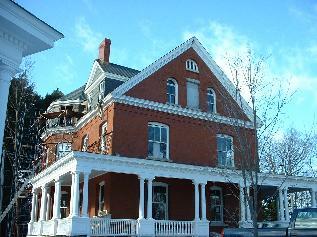 Renovation work also continued and included an historic fraternity house in Gorham. Then, about year 2000, 'we went to Great Diamond Island to rescue the new home construction of a friend that had not been going well. We have spent the next fourteen years on the island continuing work on a word of mouth basis'. This has included six more new homes, two third story additions to Sargeants Quarters and a major restoration of the Commander's House. These are classic brick/granite/slate buildings located on the historic Fort Mckinley parade ground and were constructed by the federal government in the 1890's. Over the past ten years, the company has also been constructing condominiums at the Sugarloaf resort in Carrabassett Valley. That work continues today as well as a new home on the shore of Sebago Lake. 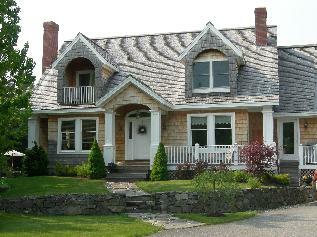 We have also had numerous mainland projects over this period including another ptoject at Sebago lake, two projects on Cousins island, new builds on Long and Cliff island, new build and renovations at Higgins beach, and many others.